Especially dedicated to skin prone to rosacea, with redness and discomfort, Avène Anti-redness Day Protective Moisturising Emulsion moisturises and protects each day, while preventing and reducing facial redness. Thanks to the enriched Ruscus extract, skin microcirculation is facilitated, and transient redness are reduced and less frequent. 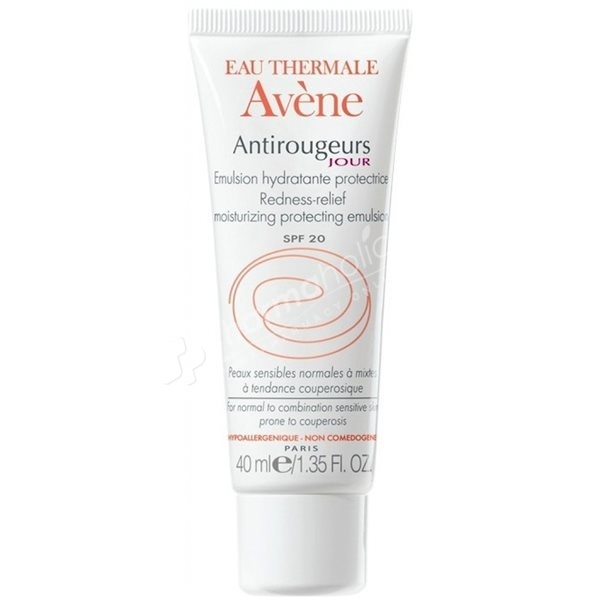 Rich in Avene Thermal Spring Water with soothing and anti-irritant properties, this emulsion quickly calms irritations and sensations of heat. The SPF 20 sunscreen reduces the daily aggression of UVA and UVB rays, responsible for the weakening of the small cutaneous vessels.